$695. 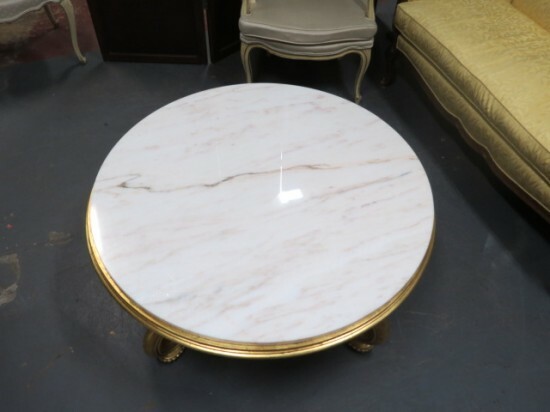 Vintage mid-century modern round marble top gilt base coffee table, c. 1950. 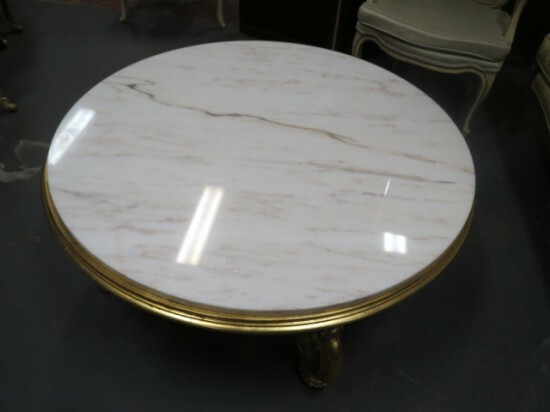 Beautiful 1" thick white marble top with pale brown and gray traces. 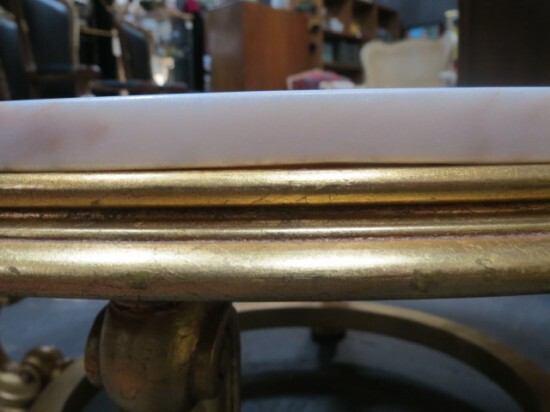 Fabulous gold gilt wood base. 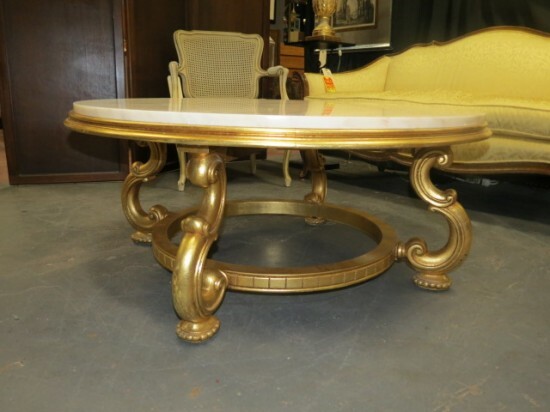 4 curved carved legs attached to a gilt ring. 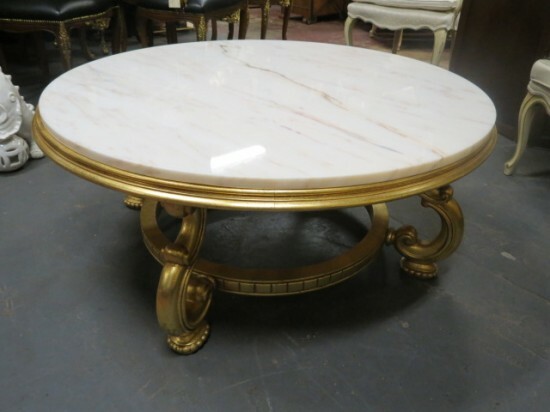 Curved legs support the top with a gilt frame around the marble top. 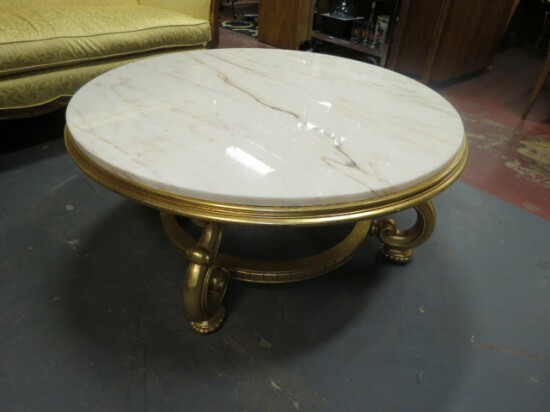 This table will be the start in your living room. Excellent condition. 42in round, 19in tall. $695. 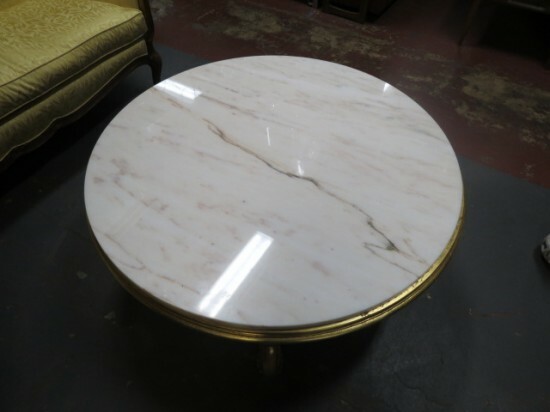 Vintage mid-century modern round marble top gilt base coffee table, c. 1950. 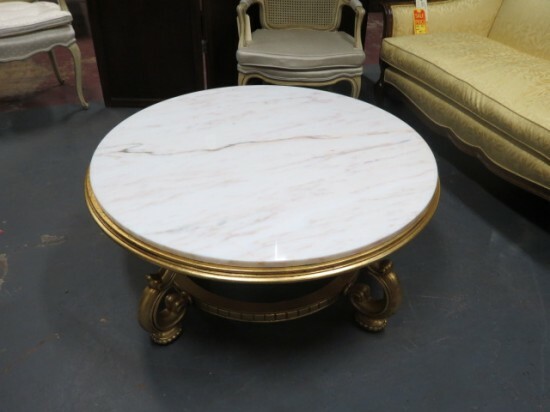 Beautiful 1″ thick white marble top with pale brown and gray traces. 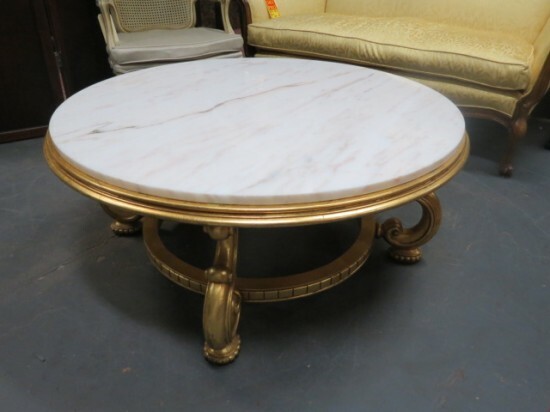 Fabulous gold gilt wood base. 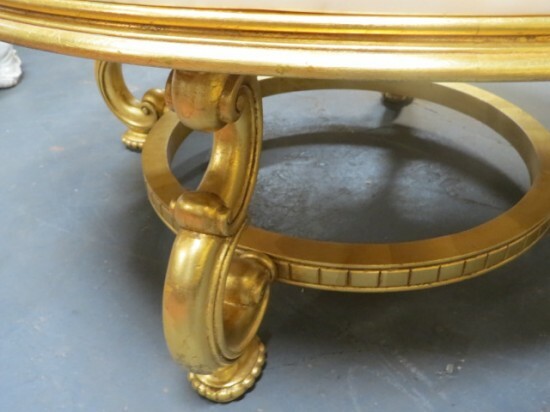 4 curved carved legs attached to a gilt ring. 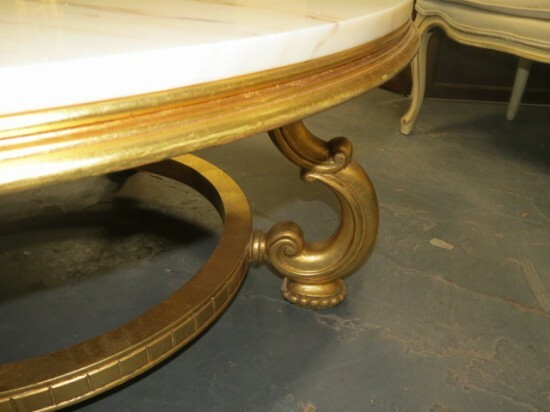 Curved legs support the top with a gilt frame around the marble top. 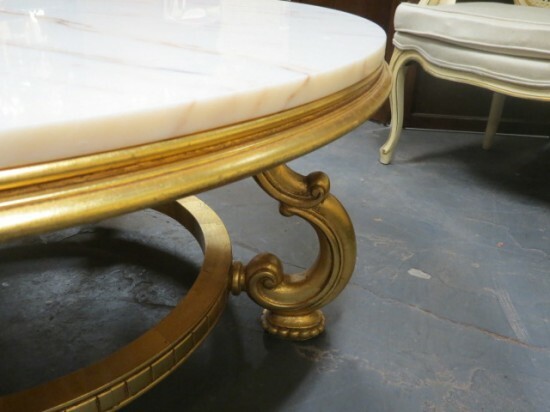 This table will be the start in your living room. Excellent condition. 42in round, 19in tall.